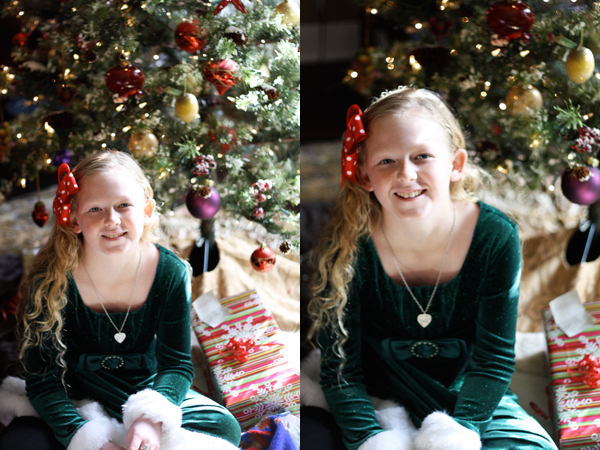 My grandmother sent my niece a little Christmas dress for her birthday, so naturally we had to have a little Christmas themed shoot. 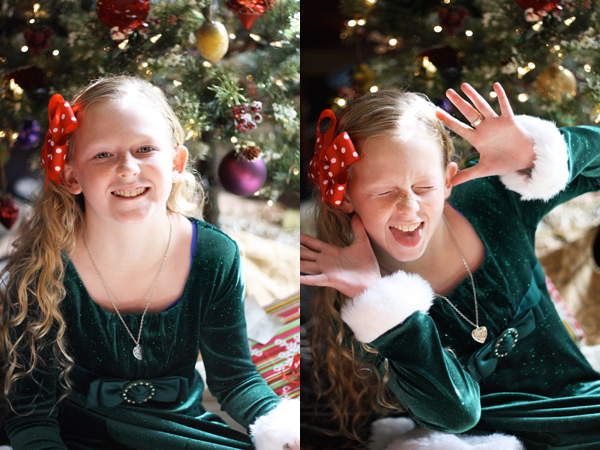 She’s not as enthusiastic about taking pictures as I am, but she humored me for a few minutes to get some shots. 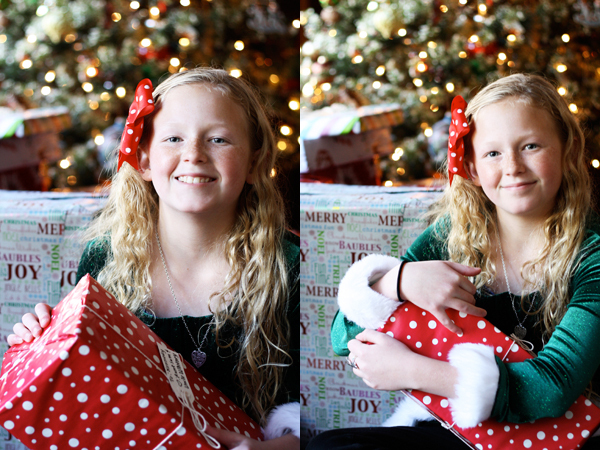 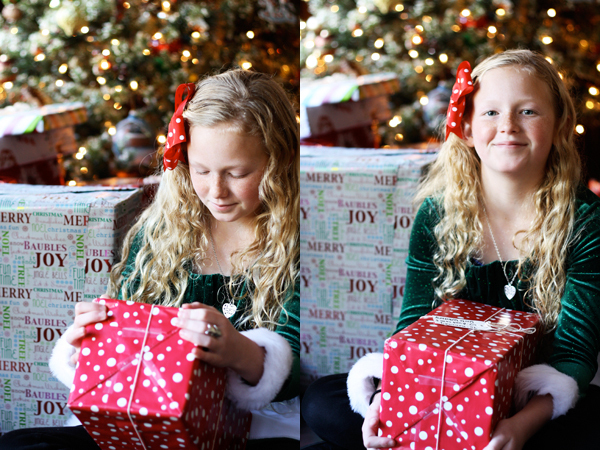 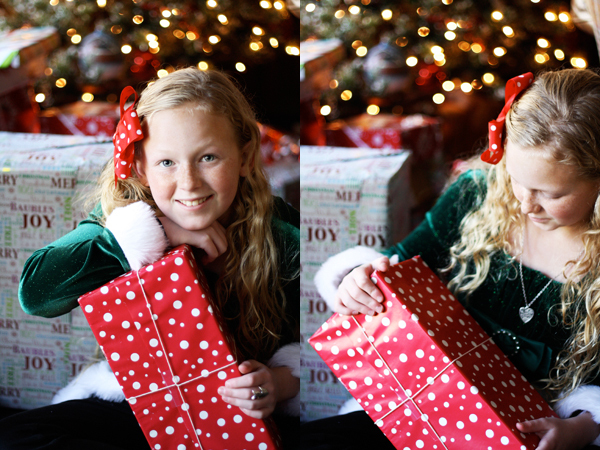 It was all by chance that her bow matched the gift she picked up, but it made for some cute photos of this Christmas elf.